The average cost of a disabling injury is $35,000. Welcome to National Safety & Training Solutions LLC, your Personal resource for Safety Solutions for you and your employees. Copyright 2012: National Safety & Training Solutions | CPR Training Tampa | All rights reserved. safe environment. 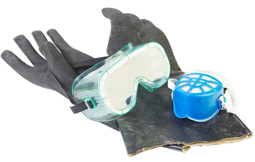 We provide a variety of safety programs, including OSHA required and recommended Florida OSHA Training, job site and facility safety assessments, and safety policy and procedure manuals development. Robert "Safety Bob" Layman is an OSHA 500 and OSHA 501 Certified Outreach Trainer. He provides OSHA 10 and 30 hour training and is prepared to assist you in updating or rewriting your safety programs. Bob is first and foremost a professional and extremely personable and listens to your needs. He is honest and will provide you with the tools you need to have a successful safety plan in place for your company. He is friendly with your staff and immediately establishes a rapport for open communication between employees and management. They will soon be calling him Safety Bob and following his lead for a positive safety culture in your company. National Association of Safety Professionals (NASP), and many more. We travel anywhere your business needs our services, in any state. Whether it is CPR training, Florida safety training, Florida OSHA training, OSHA compliance Florida or in your state, or Site specific Safety Plans, we will travel to your corporate offices, your job sites, your warehouses, or off-site facilities. Bob has traveled much of the United States and the Caribbean performing National Safety & Training Solution, LLC's services. As a premier safety services provider, let us assist you in preventing injuries, reducing risk, saving lives, ultimately saving you time and money. "Bob is by far one of the best instructors I have had the privilege of being taught by. His knowledge of all portions helped me understand areas that I was unaware of." "I learned many new things I hadn't been taught before in the 14 years of emergency response. Robert Safety Bob Layman is Awesome! "